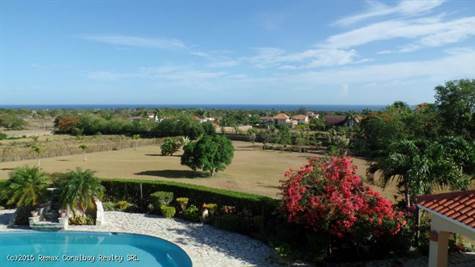 "Spectacular 180 Degree Ocean view Villa in 5 Star Community"
A true dream home. This custom built villa sits in one of the most prestigious, secure gated communities in this area and the ocean view it has is stunning. Everything you'd expect from a magnificent villa---fabulous chef kitchen, huge covered terrace areas, entertainment area by the pool, media room, double garage, and much, much more all sitting in one of the most desirable communities on the north coast. And, one more thing, it's built by one of our premier home builders and is truly a rock of comfort and joy. Owner will also consider financing/payment terms.